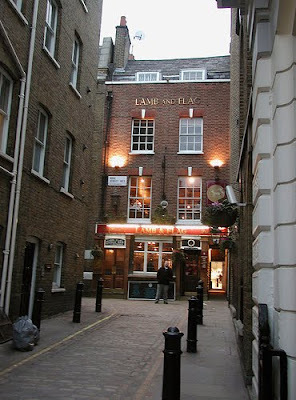 I've got a photo of this pub from almost the exact same angle, at Christmastime 2006. I see that rubbish from the building on the left is a perpetual thing! how on earth did you manage to get an evening pic with only ONE person standing outside?! Had GREAT pints with Geoff, Courtney, Helen and me-Glenn! Top pub, and sister pub to the Fat Lamb- Eugowra, NSW, Australia. Go the filthy five!! !